Throughout its past generations, the Soul maintained a minimalist three-trim lineup. 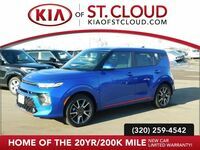 With the Soul now entering its third generation, Kia has decided to veer from the typical with an explosion of trim offerings on the all-new 2020 model. Soul lovers now have a diverse six-trim lineup to choose from with the LX, S, GT-Line, X-Line, EX and the GT-Line Turbo. This dramatic trim restructure isn’t all Soul drivers have to look forward to. 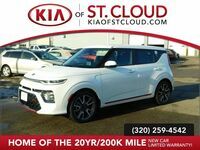 Keep reading to learn more about the all-new 2020 Kia Soul in St. Cloud, MN. A noticeable change in attitude makes it clear this model is different than Soul models of the past. The 2020 model maintains the iconic upright profile that has garnished so much attention in previous generations, while subtle changes to nose and tail accents bring a sense of maturity to the previously playful design. For those looking to add even more edge to the Soul’s style, the sporty GT-Line and rugged X-Line will do the job. 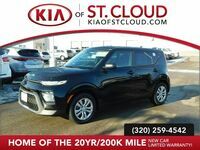 The Soul’s technology feature package has also matured immensely for the 2020 model year. 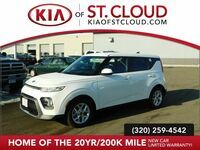 The new model brings in a hoard of active safety features not found on previous models, including forward collision-avoidance with pedestrian detection, lane-keeping assist, blind-spot monitoring, smart cruise control, driver attention warning and the 8-inch heads-up display. Don’t think for a second that the Soul has lost its fun-loving appeal. The 2020 Soul still plays hard with an incredible set of entertainment features you won’t find anywhere else. The Harman Kardon Sound System is no stranger to the Soul family, but the 2020 Soul takes the premium audio system to the next level. The new Harman Kardon system offers two times the wattage of the 2019 Soul’s system, featuring an amplifier along with 10 speakers, including a tuned center speaker and subwoofer. The 2020 Soul also brings concert-like engagement to the listening experience with the available sound reactive speaker lights. The pulsating lights sync to the beat of your music to create an in-cabin light show. If you’re the type that can’t help but to crank up the volume when a good song comes on, the Harman Kardon and mood lighting duo is an absolute must-have. 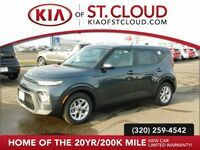 Interested in a 2020 Kia Soul?